All items are stocked and dispatched from the UK. Measurements for this item, please see size chart in the images. All sizes you see are UK sizes. For non UK size conversion - Click here to be directed to the page. Please note that the size you select is UK size. For full European and country size conversion charts, please click here. 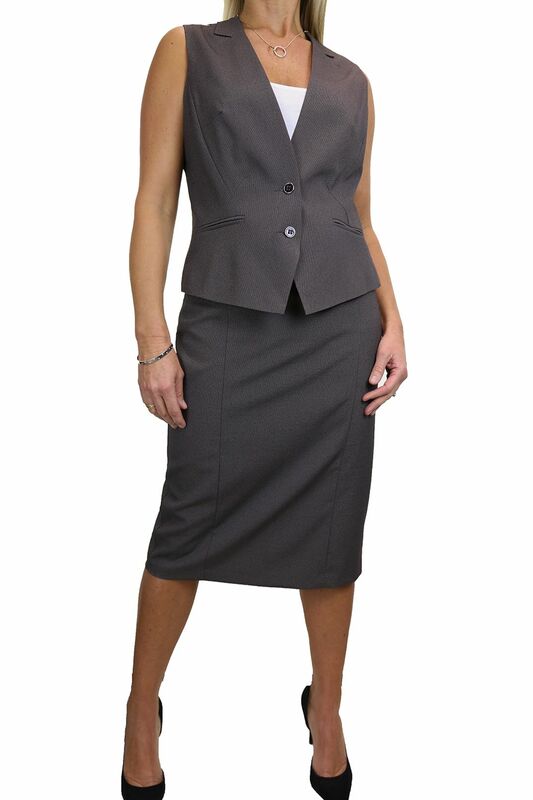 This is a 2 piece suit with waistcoat and skirt. 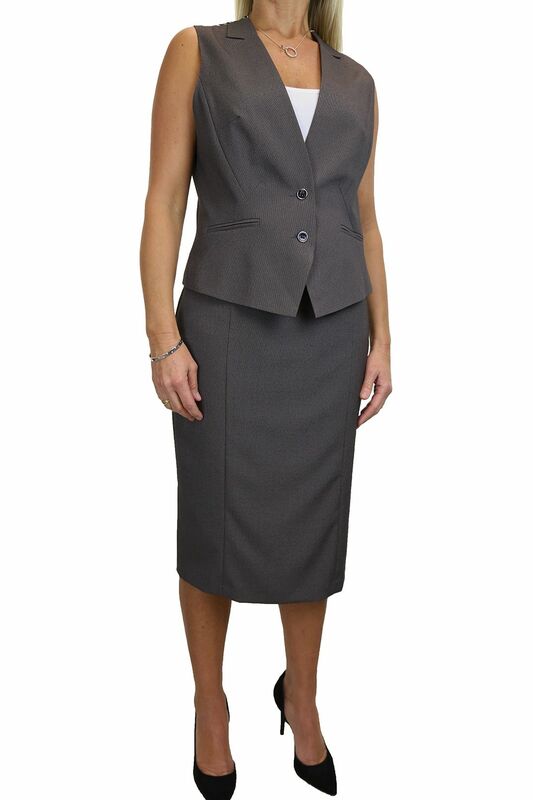 These suits are made to a very high standard of tailored finish. The fabric is a nice soft feel, like a fine suiting. Fully lined with 2 detailed buttons at the front. The front has seem detail with slit mock pockets (not real). 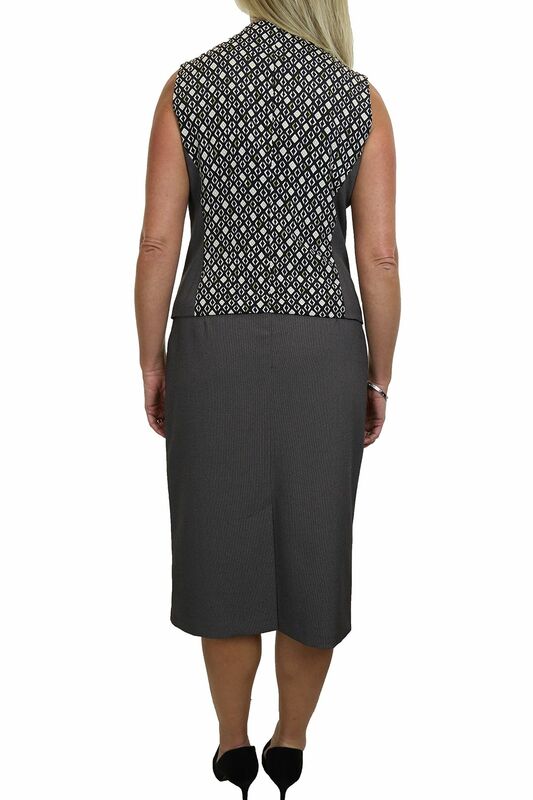 The back has contrast print in a satin feel. Fully lined with invisible back zip to put skirt on. The front has seem detail and the back has an open vent. ORDER BEFORE 2pm, DISPATCHED THE SAME DAY!